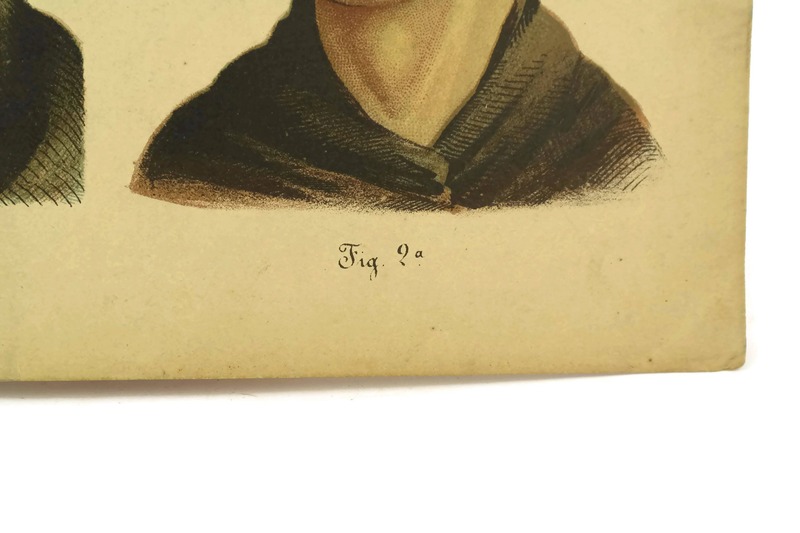 19th Century Antique Anatomy Print. 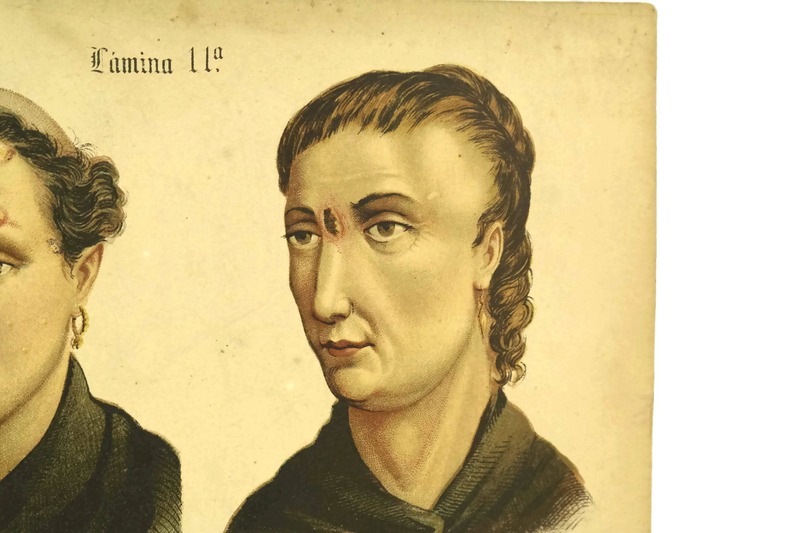 Medical Curiosity Engraving. 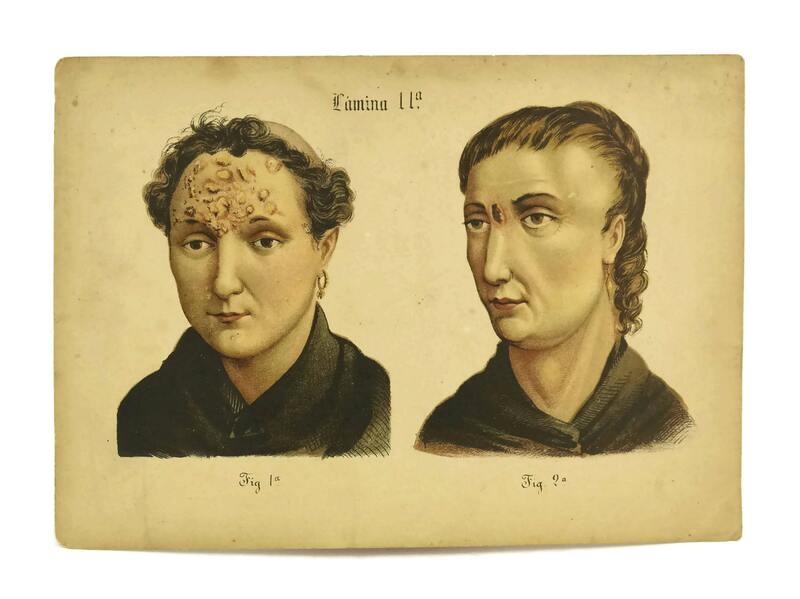 A striking antique medical print featuring a study of medical conditions and diseases. 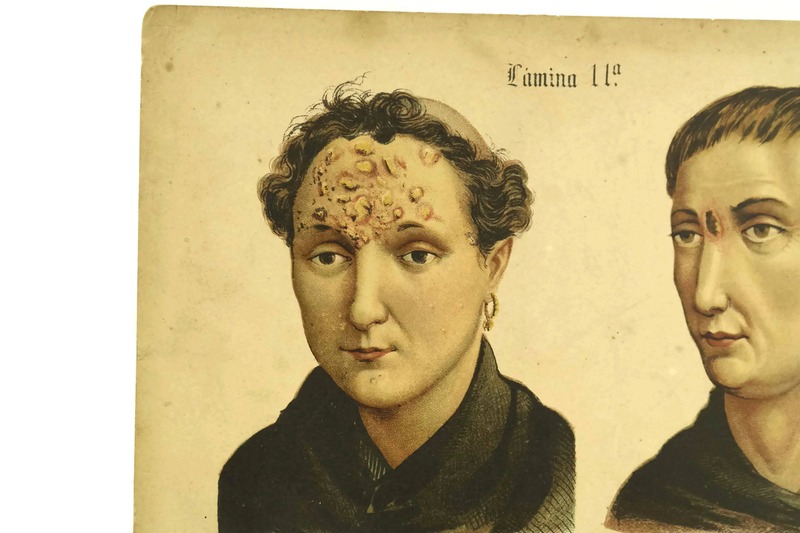 The colour engraving dates to the 1800s and features the figures of 2 people with facial infections. 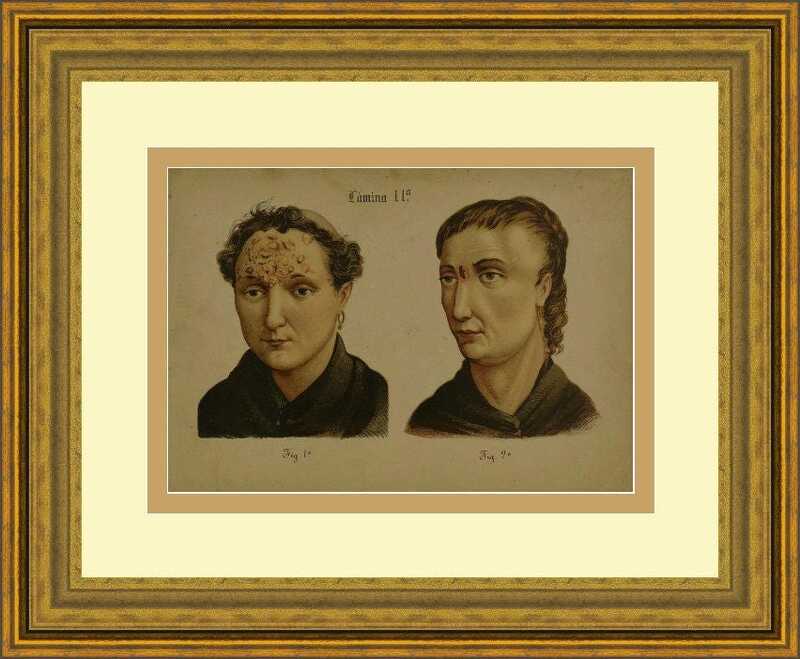 The medical curiosity print is in good antique condition with light age spots and wear to the paper. 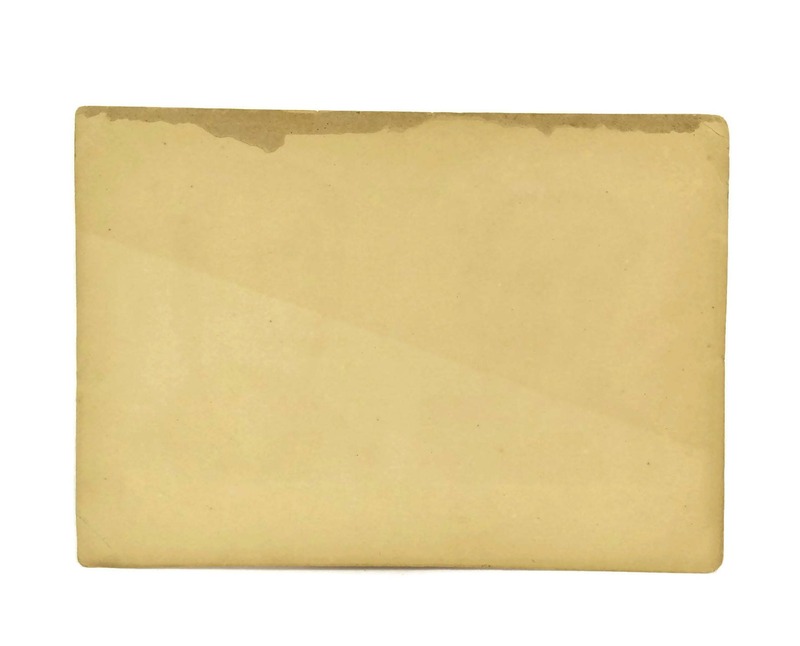 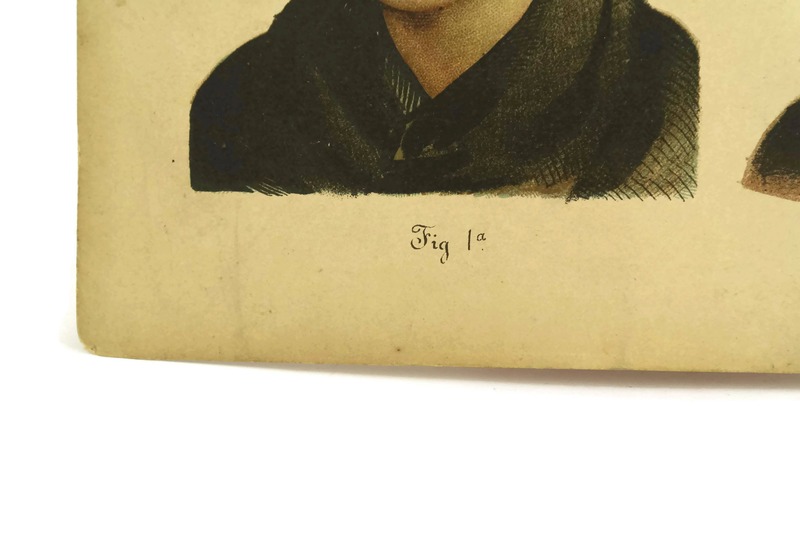 Item ref: 19th Century Antique Anatomy Print. 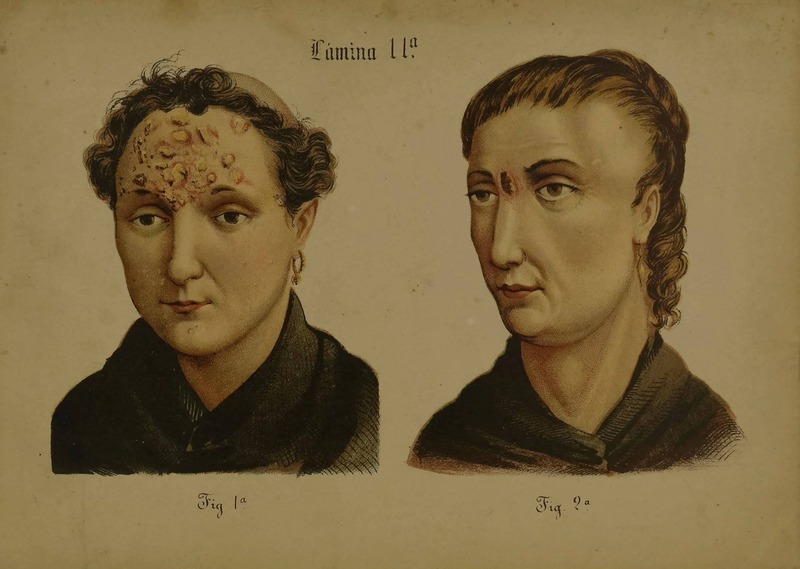 Medical Curiosity Engraving. 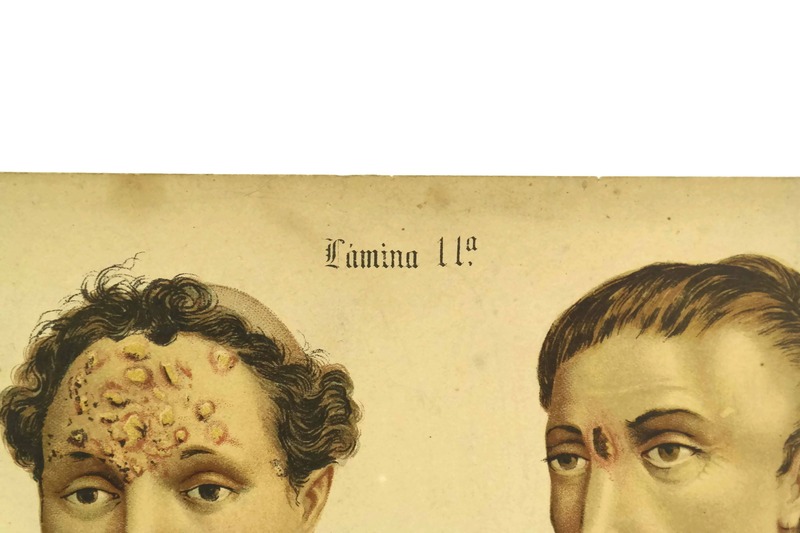 Antique Human Body Diseases Art Print.